I can’t imagine more of an intimidating spot to open a restaurant than in the heart of Toronto’s Little Italy, but Chef Mike Bradshaw and wife Alexandra Velocci have taken the task in their stride and have just celebrated their first anniversary of Chez’s on the most delicious strip in the city. The menu here is limited, which for me is always a great sigh of relief. Bradshaw has cultivated a select menu of tried and tested delights from his years spent working as a chef in high end eateries in France and England. That isn’t to say you won’t find something to your taste, of course! Meat lovers, fish fanatics and vegetarians alike can revel in the carefully blended flavours celebrated in the hearty dishes. Anyone who knows me knows I love a scallop. 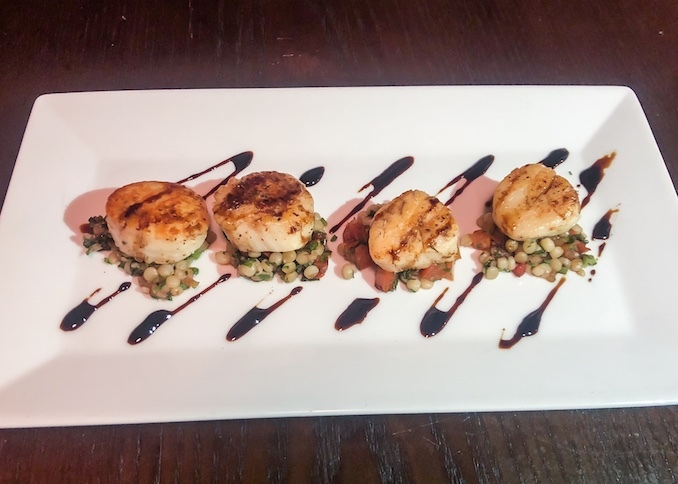 Scallops for life. Bradshaw serves his pan seared on a bed of pearl couscous, tabbouleh and balsamic and they really are some of my favourite I have ever tasted. He works a similar wonder with his octopus risotto. Bradshaw also serves calamari my favourite way – aka chopped not ringed, delectable and not rubbery. The salt and pepper seasoning and accompaniment of jalapeño aioli and sweet chili dipping sauce make them a sharable treat to whet the appetite. 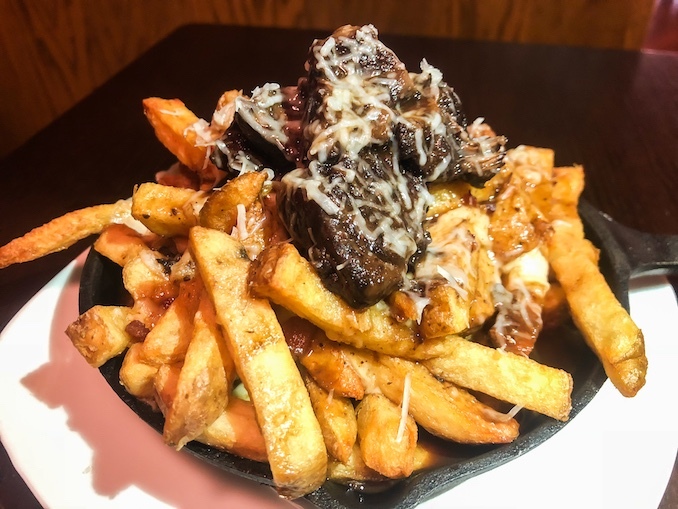 For the meat lovers, you are going to want to try the braised beef cheek poutine. Bradshaw has an in-house smoker and the beef is a melt in the mouth spectacular. Oh, the cheese curds are smoked too. Yum. 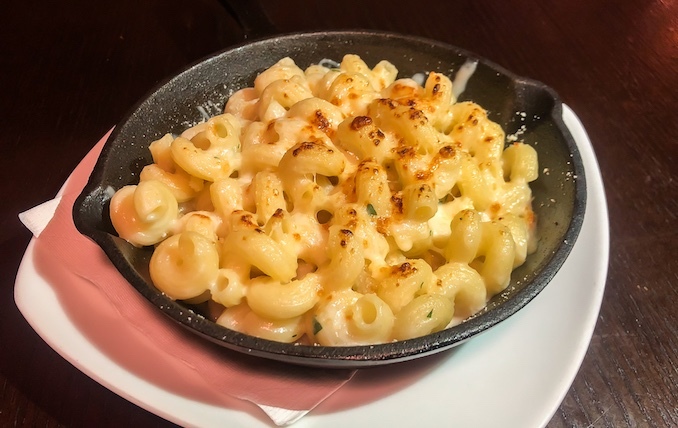 Less stand out, but still tasty is the Mac and Cheese, which also offers a delightful smoky flavour , but less contrast. It is still good for those who want something familiar, but if you eat meat I would probably recommend adding the Guinness braised short rib for a bit of juxtaposition. 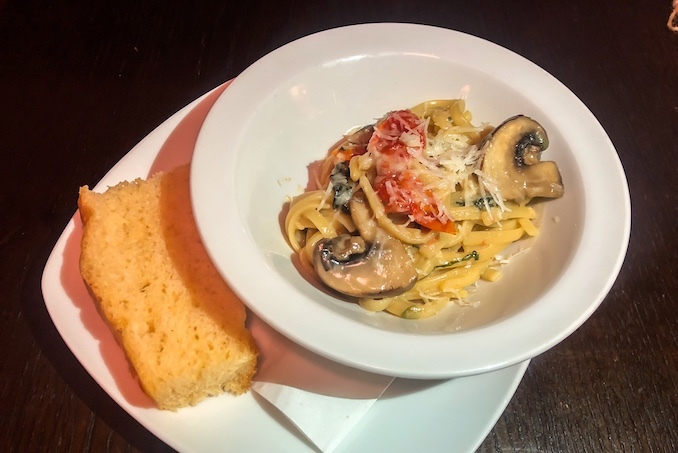 If you don’t eat meat, or just fancy something less heavy, the mushroom linguini is a joy and the perfect composition of creamy and fresh, with the house made sun-dried tomatoes cutting through the basil cream sauce. I had a lot of love for this dish. I didn’t try it, but I am told by Chef Bradshaw that his Jerk Chicken is epic. Perhaps something to return and sample! 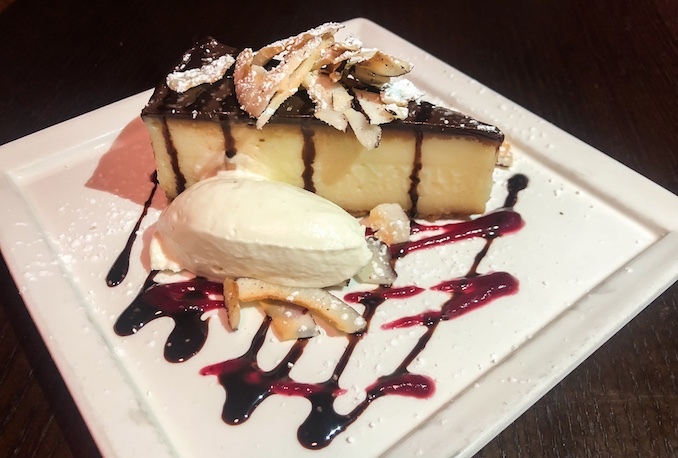 Everything on the menu has been cooked and crafted by Bradshaw with the one exception of the Earl Grey crème brûlée, which Alexandra makes according to her families recipe. I also sampled the coconut white chocolate cheesecake, and I have to say the brûlée reigned victorious! While both were a veritable treat, the brûlée was faultless. You can drink up a storm at Chez’s too; they have a great cocktail selection as well as a great wine list. I’ve basically made it my mission to drink every Negroni in Toronto, neigh, the world, and Chez’s stood up. I also had a great glass of Niagara Pinot Noir with my mains and a cheeky Jamieson at the bar before I headed out, feeling happily full! I loved the vibe at Chez’s and recognize the hard work that has gone in to the first year of the restaurant. Yes, opening up in Little Italy must be hard, but Bradshaw and Velocci have got this! 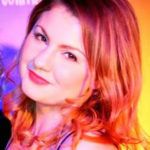 Side note – there is live music every other weekend, which is always a bonus!